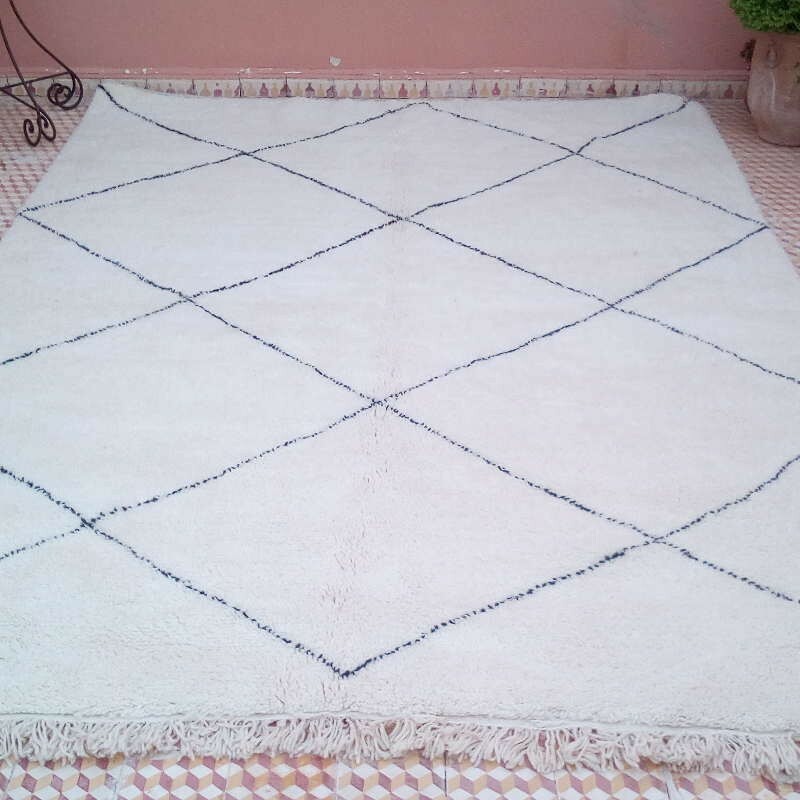 Berber Beni Ouarain rugs often appear in the living rooms of Berber home designers. They didn't impose a decorative style, because black and white colours can be used with every style. Unlike some carpets with an Indian or Persian cachet, Beni Ouarain rugs blend into the decor. They might have been imagined by designers artists of Paris, New York or Rome. But they just come from rural areas, called "Douar" in Morocco, it means villages of the Morocco Middle Atlas mountains. If you are looking for decorating ideas for your home, the following examples of Morocco handicraft can help you finding an original home decor. 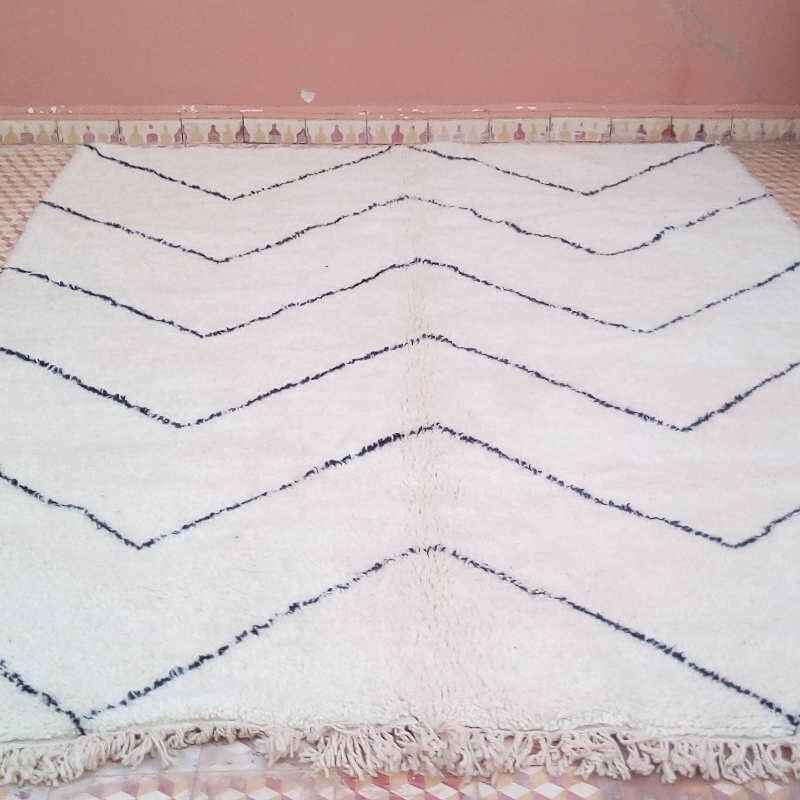 Morocco accessories for home design have been imaginated by Berber artisans who have particularly impressed us by the choice of materials, style and color harmony around a Beni Ouarain carpet. 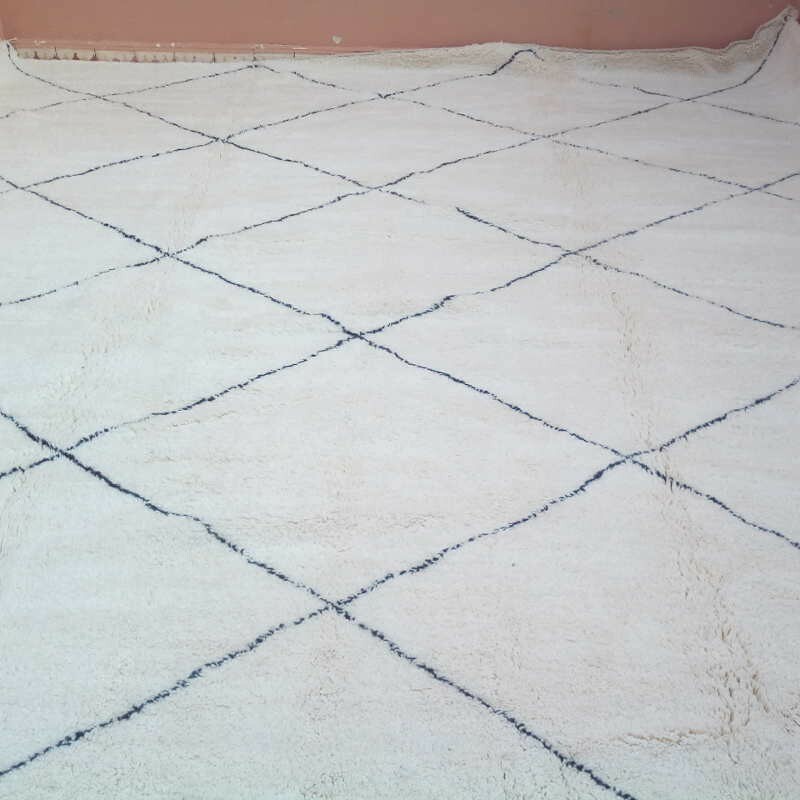 To learn more about the history of Beni Ouarain rugs, please browse blog posts to discover the fascinating world of these carpets. 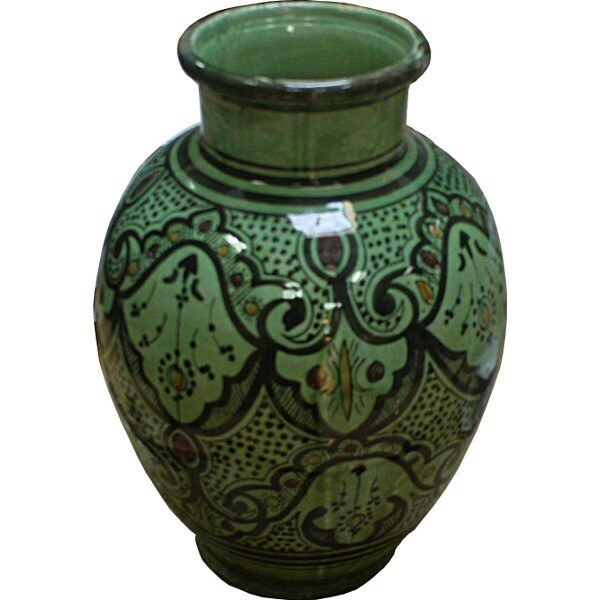 Morocco handicraft furniture provides an original interior decor we only see in Morocco. 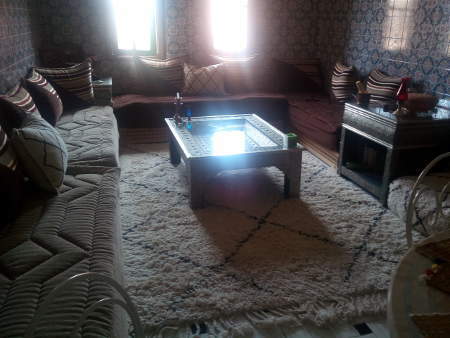 Using mainly natural row-materials, Morocco artisans hand make amazing stylized home decor furniture and accessories. One of their interior design projects is to make warmer your home decor with a variety of details, like this designed table. 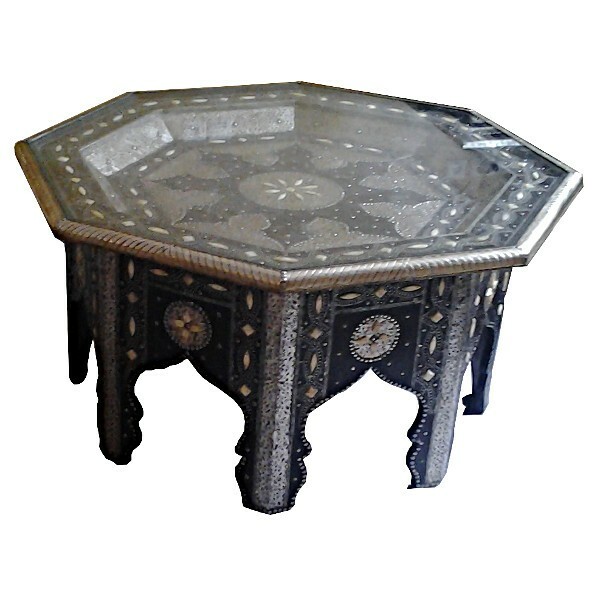 Morocco artisans are able to imagine this artistic embossing metal table, where metal pieces are decorating the native wooden structure. The choice of wood furniture, wedding beige, brown and black shades, and Beni Ouarain rugs create a rather successful atmosphere! In Morocco, artisans are creating every fashion, hand making so nice accessories such as the famous Morocco lightings. 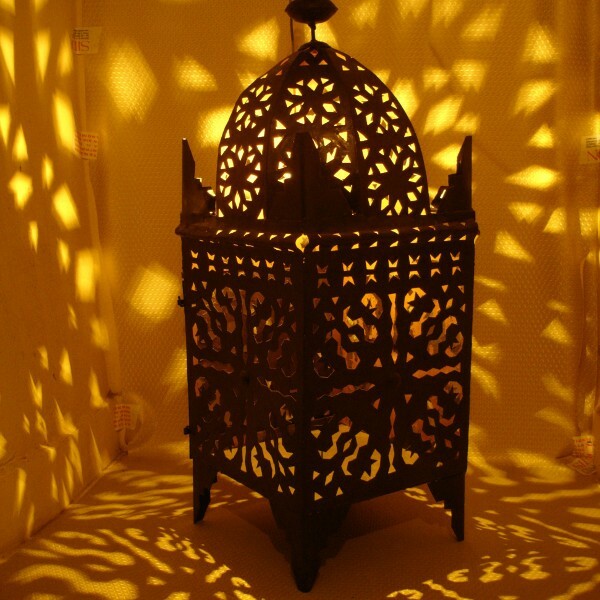 You will find a lot of different lights hand made in Morocco. the most dificult thing is to choose one of these lights, because thez all are so pretty and design. The Natural style was specially highlighted by the Islamic art of decoration producing the variety of Morocco handicraft. 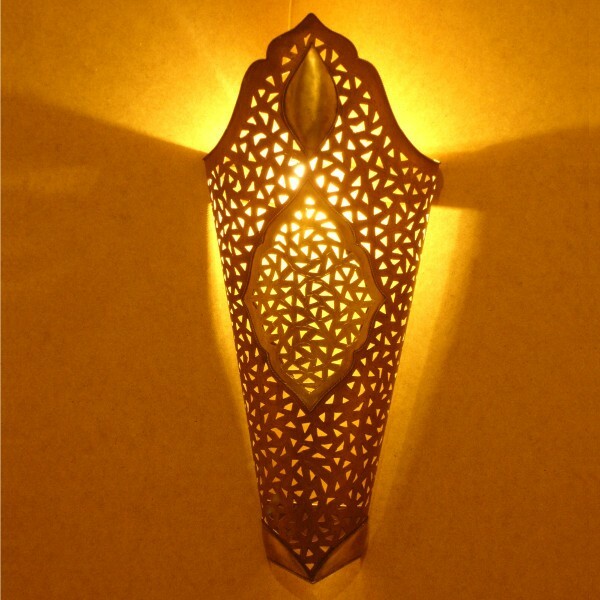 The carpet Beni Ouarain will change of aspect with a design Morocco patina wall sconce. The atmosphere become totally different, as Morocco lights are bringing a warm sensation. 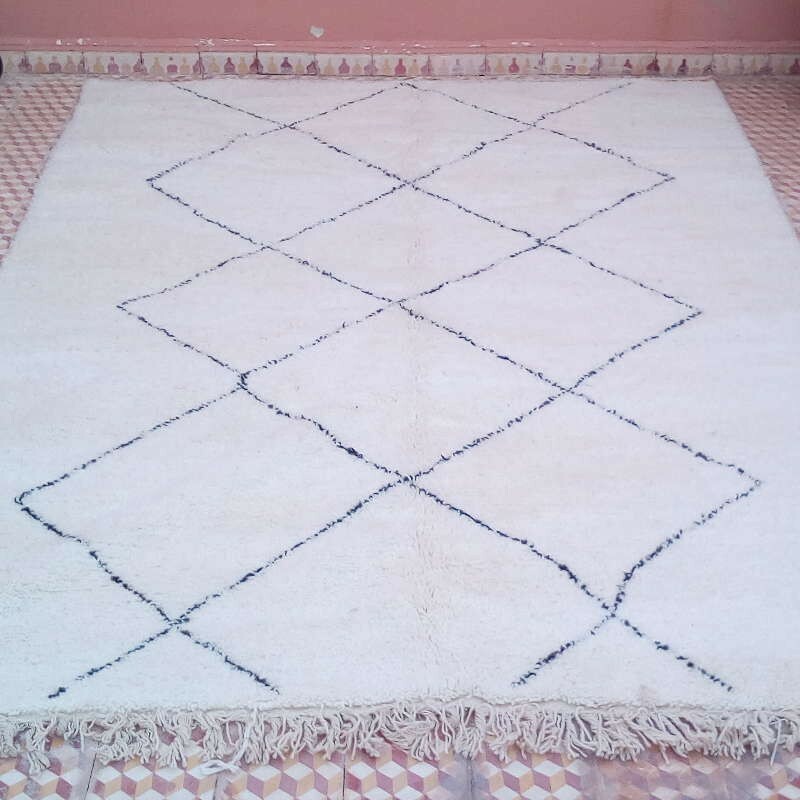 Enjoy the Berber art of home decor. Wishing to spend more time to have a rest in our living room, Morocco artisans work leather to provide a friendly furniture and comfortable leather ottomans. 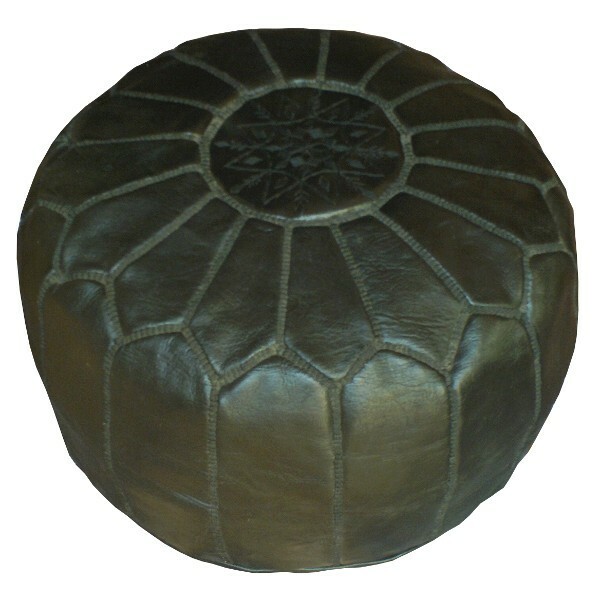 As to follow the Berber spirit of home decor, they are creating amazing leather ottomans with warm and discrete appearance. Natural leather comes from Morocco, it is a traditional accessory in every living-room in Morocco. As the Beni Ouarain rug is lined with diamonds shapes, a Morocco ceramic pottery vase brings round shapes on a rectangular table. A nice decoration all in balance, for an original and warm living room.It will be a great pleasure to share moments with friends at home in a such amazing and original ambiance. To see these rugs on line, please click on the pictures. 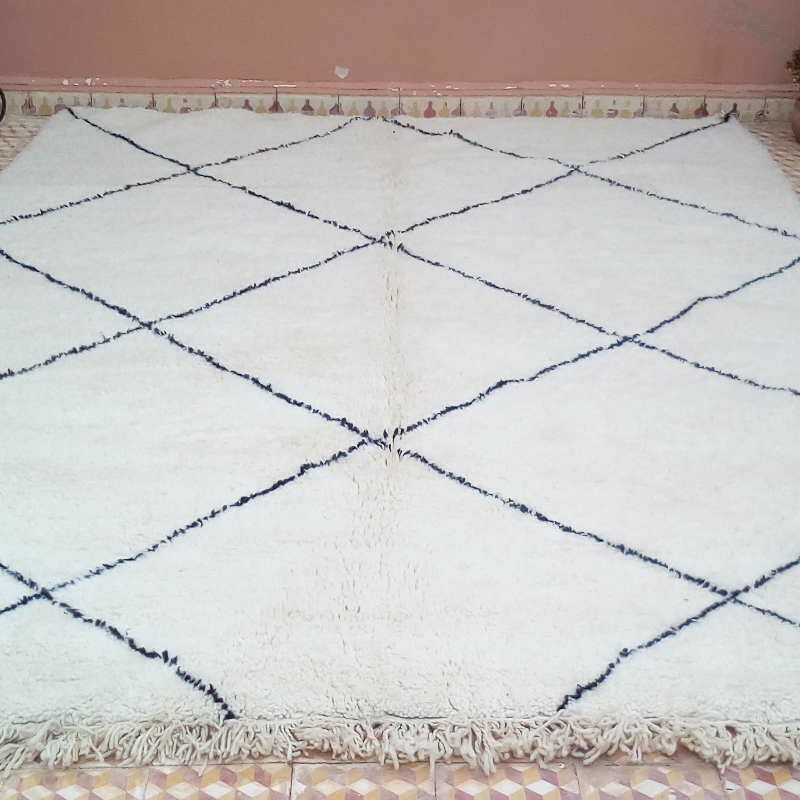 If you are looking for a specific Beni Ouarain rug, please feel free to Contact us (about colors, patterns or sizes of a rug).